Here are some of the many Cat Insignia items I have gathered. There are those who find little imperfections endearing and individual, which I can understand. But as for me, I can nitpick out a flaw from a mile away. 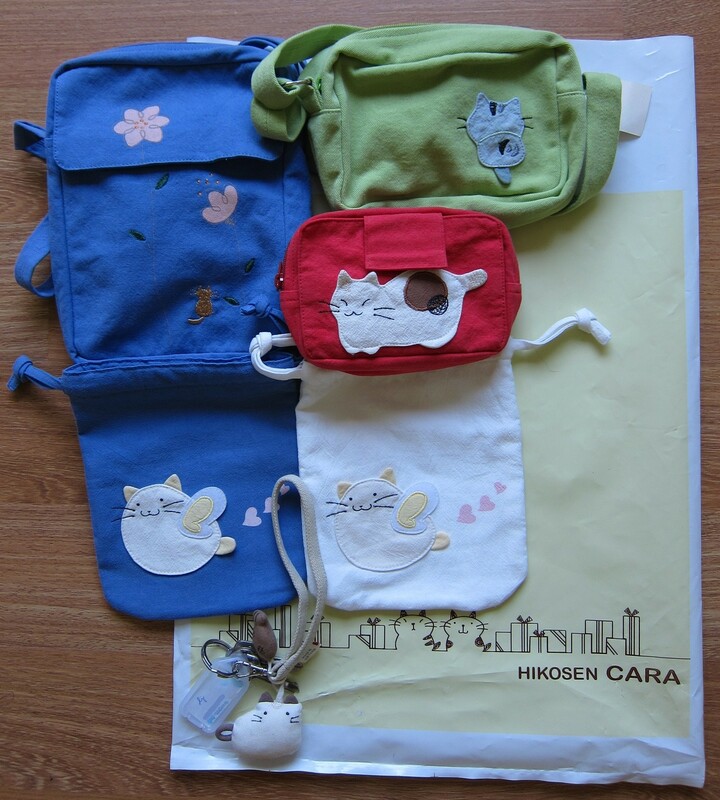 So when I buy handmade Hikosen Cara merchandise, I am obligated to sift through the entire stock range to hunt for the most symmetrically stitched products. 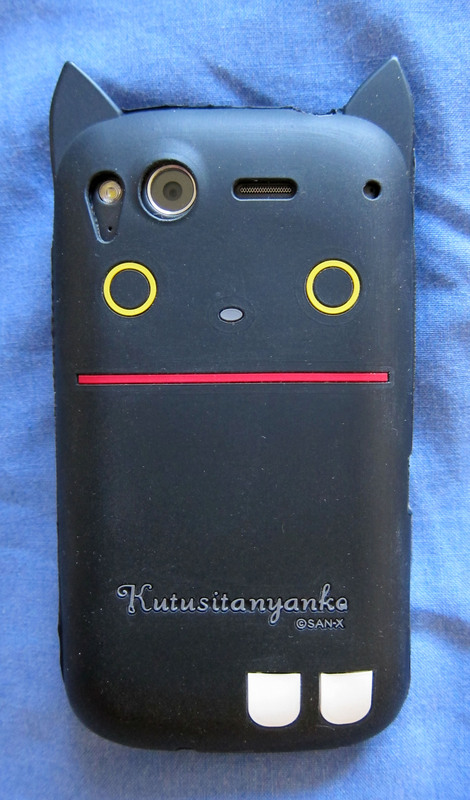 I also wanted to upgrade my phone, so I went with something that would fit into this black Nyanko cat case. Brandless, good sized shoulder bag. There was only one available when I bought it, otherwise I would have ordered three. 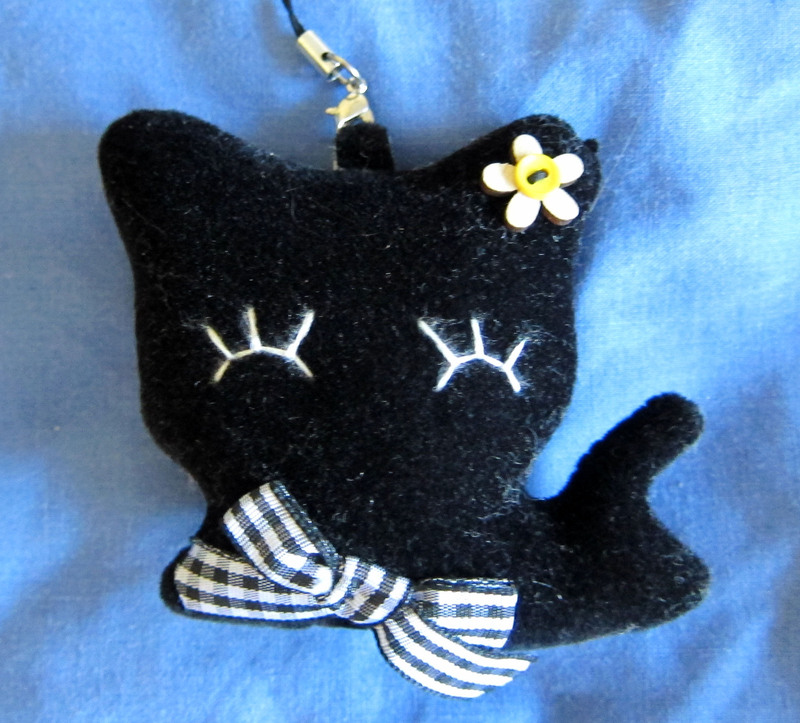 And a handmade plush keychain. 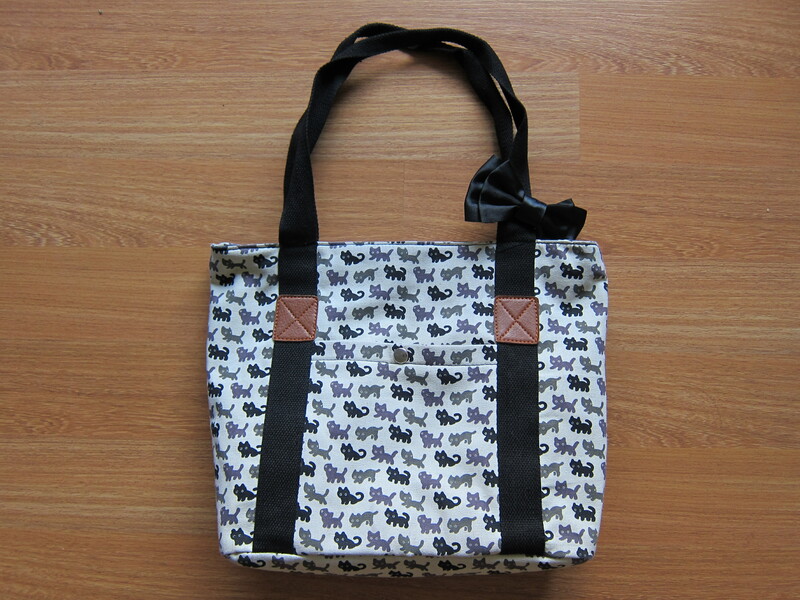 It's very well stitched and has a velvety feel. 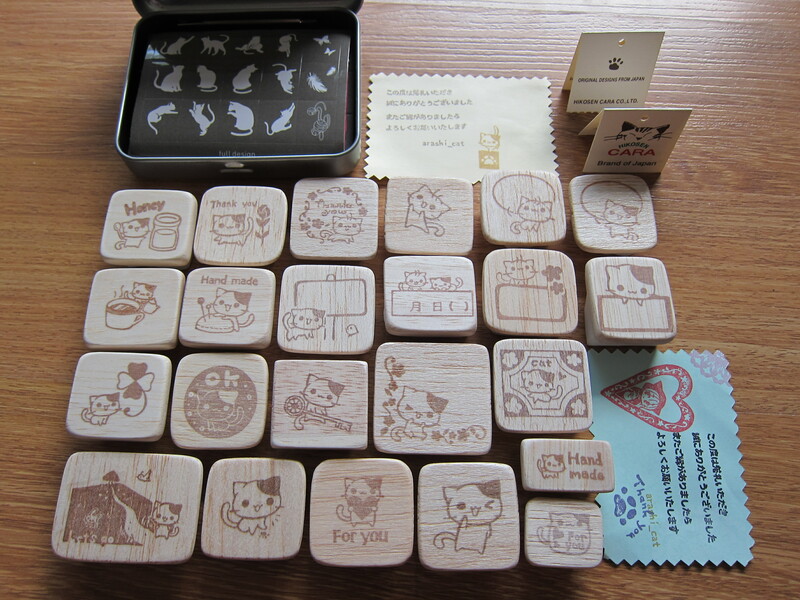 There are also some DIY Korean cat stampers in a tin. Plus the Cat Naps diary and calendar, so I can organise my year! 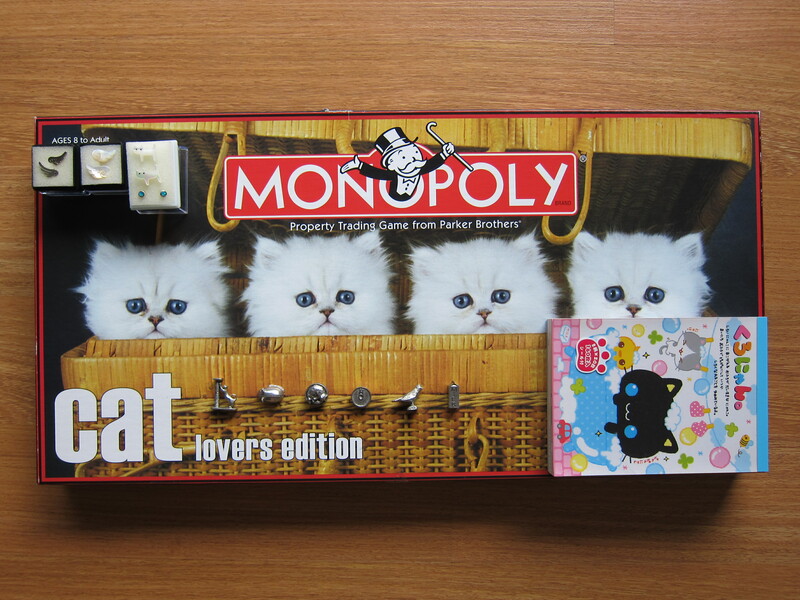 This is an official cat version of Monopoly. The pewter movers are all quite detailed. 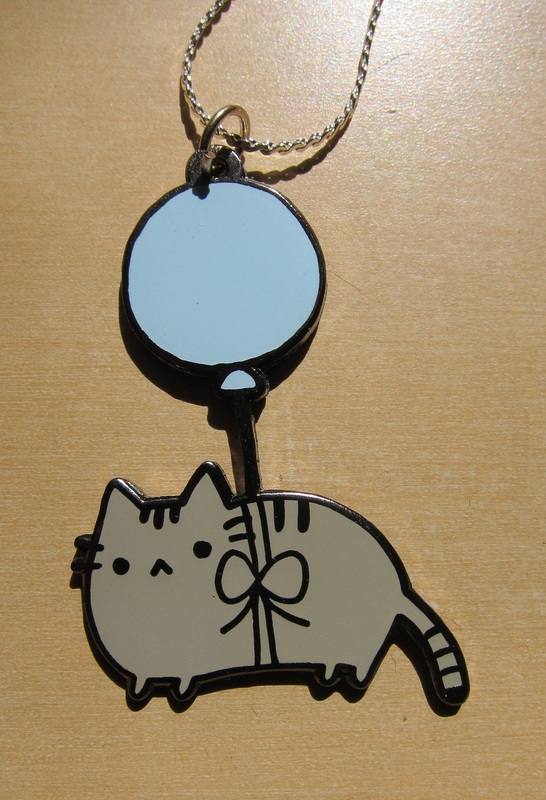 I snuck a very cute Crux cat notebook in as well. 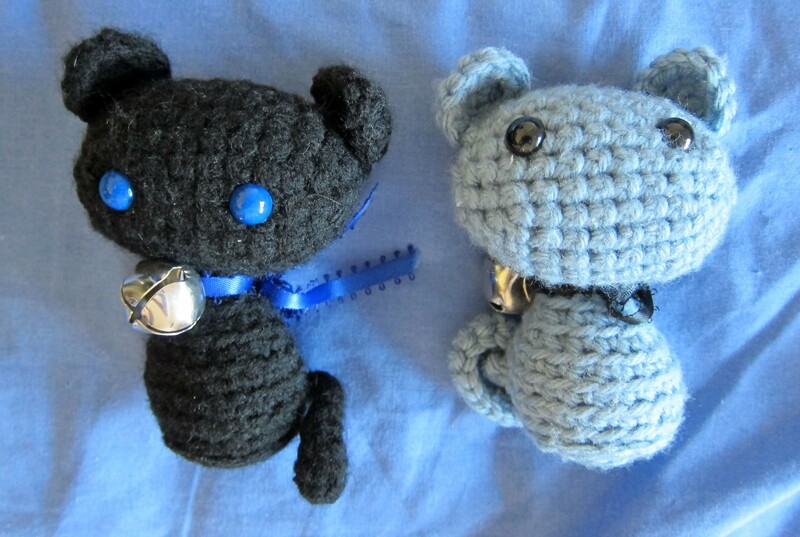 Japanese cat plush and keychains. There are many different variations and themes available. I have a lot of the birthstone series below, along with some other stuff. 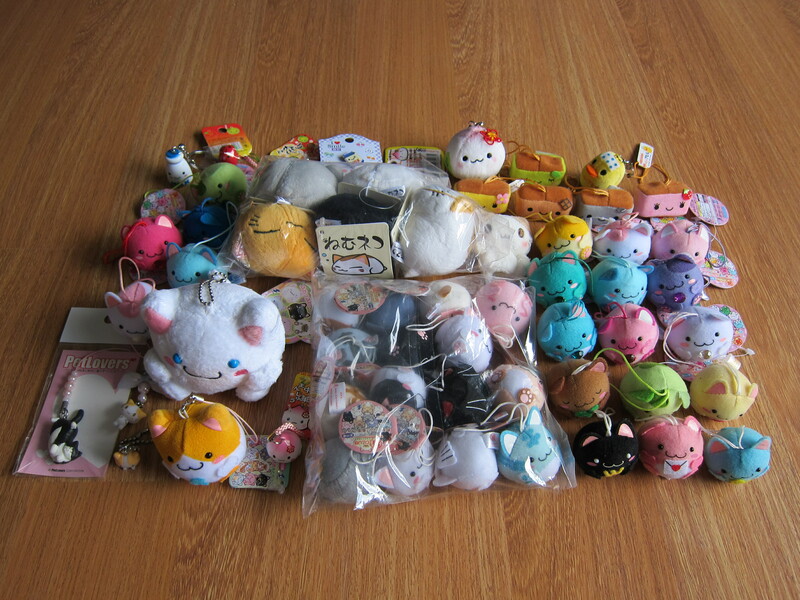 The top black cat is the Furyu Corporation 'Nemu Neko' Cat. 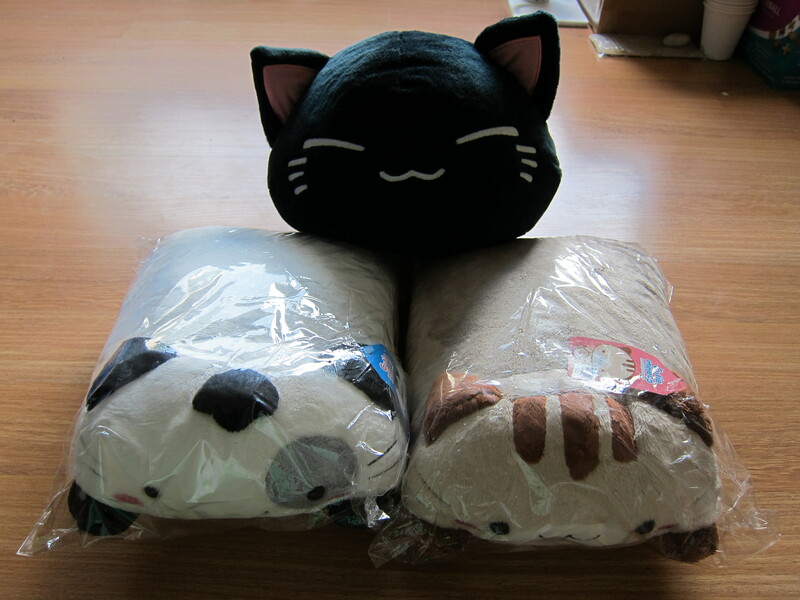 The two cats on the bottom are Korean plush. 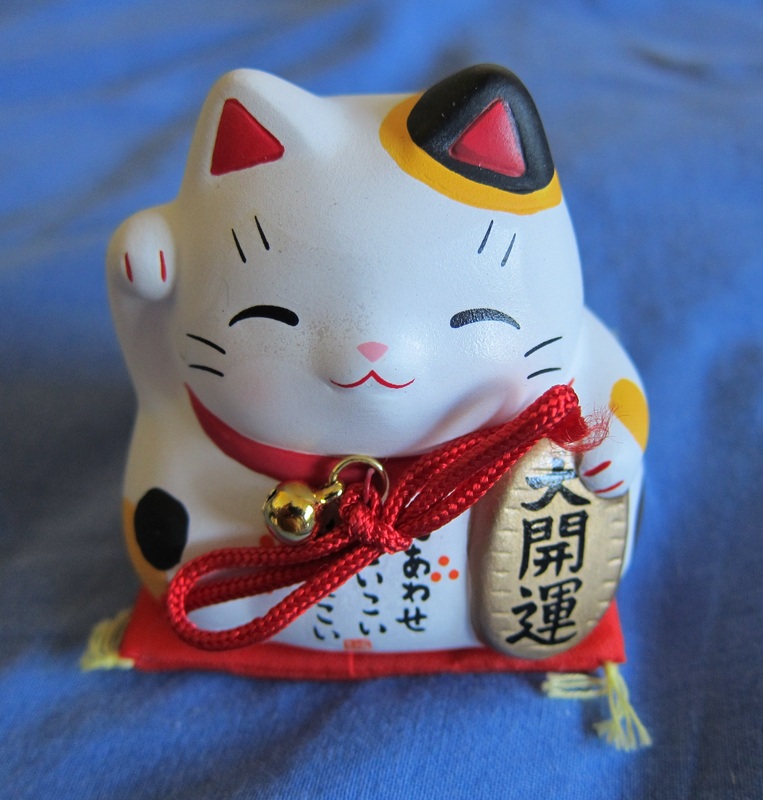 The Japanese lucky cat ornament was an end of year gift. It is hollow inside and rattles when shaken. 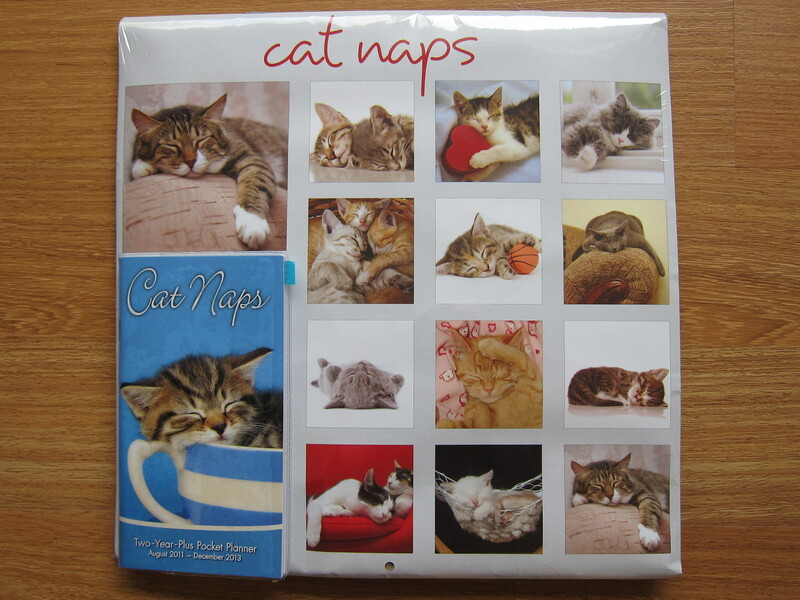 I like the look of handmade cat products. They have a more unique look to them than mass produced stuff. Your post starts with the question, and that forced me to think ... - Thank you. You helped me to check out my emotions. 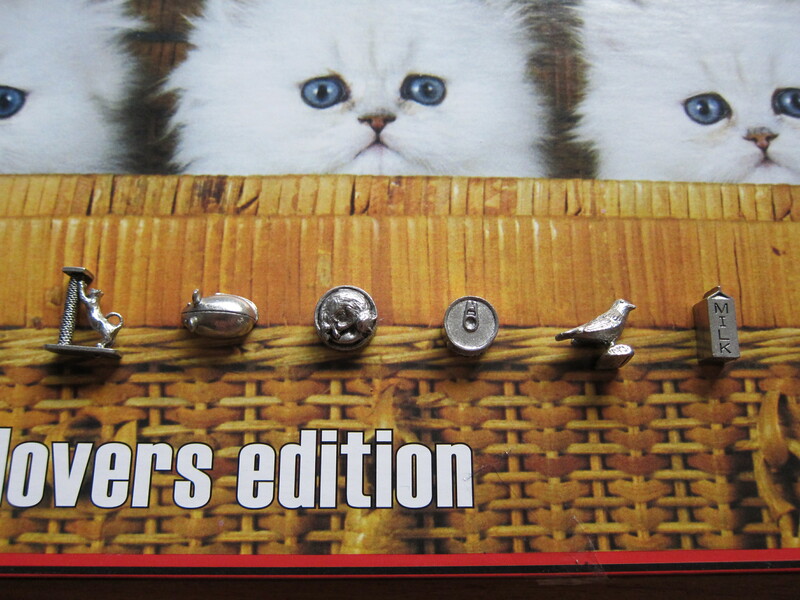 Yes, I love the cats and the fingers which express the hearts with lovely handicrafts. 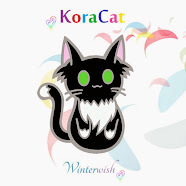 Though at first glimpse my blog Art by Tomas looks like unrelated to pets, yet if one truly enjoy the life, he loves cats too. Love to cats is love to our being here and now. 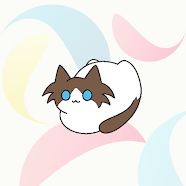 We call him the Sack Cat, we love him very much, we'd like to reincarnate him if possible.